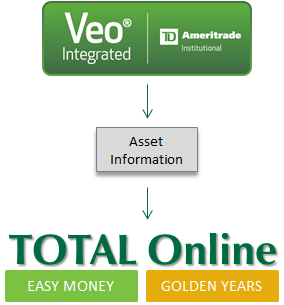 View the TOTAL Online for Veo® guide to walk through the steps of accessing real-time asset information using Money Tree's TOTAL Online . 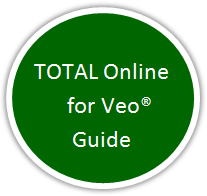 Streamline Your Planning Process Today with TOTAL Online's Integration with Veo. TD Ameritrade, Inc. and Money Tree Software are separate, unaffiliated companies and they are not responsible for each other’s services and products. Veo Integrated is an indication of programming compatibility. It does not imply any TD Ameritrade, Inc. recommendation of, endorsement of, warranty of, or fitness for use of Money Tree Software’s products or services. TD Ameritrade is not responsible for information, opinions or services provided by Money Tree Software. Brokerage services provided exclusively by TD Ameritrade, Inc., member FINRA/SIPC. Veo is a trademark of TD Ameritrade, Inc. TD Ameritrade is a trademark jointly owned by TD Ameritrade IP Company, Inc. and The Toronto-Dominion Bank. Used with permission. All rights reserved.